As with all socialist political parties, the NSDAP was a far-Left party. The Left-wing historians’ trick is to identify nationalism with the Right. This is like saying that because the Germans socialized the beef industry, cows are a Leftist concept. And the reason you don’t understand that is either because Leftist ranchers have you hoodwinked, or because you’re an ‘anti-Semite’. As providence would have it, however, North’s denial of Jewish conspiracy coincides with the confession of George Soros. Soros and the New York Times (which might as well be Haaretz) revel in the fact that Soros, following the vision of converso Karl Popper’s “open society,” has spent his life subverting the life of nations. And whilst bemoaning the visibility of his actions, he admits that his goals of forcing pluralism and socialism on the nations through finance manipulation, his ‘potent messianic’ view of himself, and his ‘one-man Marshal Plan’, are, in terms of his Judaism, “cliche”. The anti-Semites are invariably conspiracy theorists. But they are conspiracy theorists of a special kind: theorists of a single conspiracy. His invocation of the propaganda term aside, do opponents of Zio-supremacism imagine Plato’s Republic to have been dictated according to Jewish conspiracy? Or that the Salem witch trials were product of that cabal? Of course not. Conspiracies are legion. Their target is racial/ethnic, not national or ideological. That’s two false dichotomies in one sentence. Biblically, historically, and etymologically, nations are racial/ethnic entities. And what is the critique of Jewish doctrine, politics, and behavior if not matters ideological? North’s address of the matter takes for granted the very thing of which he wrongly accuses ‘anti-Semites’ — that man can be treated in isolation from worldview. This is the meaning of white nationalism. Let’s not kid around here. That’s what it means. It is the equation of a particular racial or ethnic group with nationhood that was at the heart of Hitler’s worldview, and it is at the heart of anti-Semitism everywhere. Okay, let’s not kid around, Gary. ‘The equation of a particular racial or ethnic group with nationhood’ means much more than white nationalism. It means nationalism in general. And the fact that you are pitching this SJW fit on behalf of the Jews proves that you understand that on some level. You accept that the Jews, as an ethnic group, do in fact exist, and have an ethno-national (a redundant hyphenation, yes, but apparently needful) prerogative. That is, unless you aren’t validating them as an ethnic/national group, but rather validating their religion; but that would simply be a renunciation of Christ, wouldn’t it? So which will it be, Gary? Are you a nationalist or an apostate? It’s one or the other. We are told that it is only by mobilizing the nation, meaning the power of the central government, that righteous men can defeat the concealed conspiracy of the Jews. Though Scripture takes for granted the confluence of nation and state, it yet delineates between them. Even under circumstance of their geographical and governmental discorporation, Israel in diaspora never ceased being a nation. Else St. Paul of Tarsus could not have identified as an ‘Israelite’, and a ‘Benjamite’. The only people who regard nation as synonymous with the state are the so-called “propositional nation” theorists such as yourself, Gary. But yes, under biblical law, the magistrate is obliged to defend the nation against unbridled usury, foreign occupation and enslavement, and designs to extinguish the heritage of the people. Especially in the case of encroachment by heathens (so says Calvin, the Puritans, the WCF, etc.). Which the Jews, to a more resolute degree than any other group, are. He then cites a 1959 article by Maguire at some length which outlines the Jewish command of finance, banking, and sundry monopolies. And in spite of using Maguire’s commentary as his prime exemplar of ‘anti-Semitic’ ‘conspiracy theory’, North conspicuously declines to refute anything Maguire said. He merely relies upon programmed Leftist outrage. And that reliance upon government-media programming in lieu of an argument rather demonstrates North and his ilk to be the leftists/statists. Gary doesn’t even bother to define what he means by the charge of ‘anti-Semite’. It is questionable whether most Jews are Semites in the first place. Nonetheless, versions of the Gospel narratives that emphasized Jewish guilt (rather than the responsibility of the Roman imperial authorities who actually imposed and carried out the death sentence) were included in the Christian canon. As a result, with every annual reading or reenactment of the story of the death of Jesus in Christian churches, millions of Christians imbibed the notion that the Jews had been guilty of the worst crime in history. Into our own time, the deicide libel has been used to justify hatred of Jews and violence against them, including from Christian pulpits. . . .
For almost two thousand years Christian teachings drove the spread of anti-Semitism throughout Europe and beyond. (As we’ll see, the current explosion of anti-Semitism in the Muslim Middle East is fueled largely by myths and doctrines that originated in Europe.) The story of Christian anti-Semitism is a long, complicated, and tragic one. Scholars such as the late Dr. James Parkes have traced a direct line from ancient Christian teachings on Jews and Judaism to the death camps of Hitler. With all its condemnation of Jews as ‘sons of the devil’ and a ‘synagogue of Satan’, the New Testament is understood to be the epitome of ‘anti-Semitism’. The crucifixion of Christ is deemed the ultimate ‘blood libel’. And as you well know, Gary, supersessionism — the essential doctrine that the Church is Israel now — means you stand thrice condemned of anti-Semitism yourself. The only means to clear one of the charge is complete obeisance to the Jews and repudiation of Christ as Messiah. Sadly, based on your recent commentary, Gary, you’re at least halfway there. My condolences. We find the close of your article comparing ‘anti-Semites’ to Dracula sorely ironic. Perhaps you are unaware, but Bram Stoker’s Dracula is a metaphor for the Wandering Jew. Dracula, a Levantine prince of limitless fortunes who cursed Christ and rejected the covenant, was transformed into a ghoul who moves under cloak of darkness, subsisting parasitically on the blood of the Christian peoples amongst whom he roams. He has preternatural powers of persuasion and mind control which are principally enabled upon invitation into Christian domains. He controls all other “children of the night.” He loathes mirrors for he cannot look on his own evil. He is repulsed by the cross, the host, and Scripture. And damned are the souls who do not resist him. 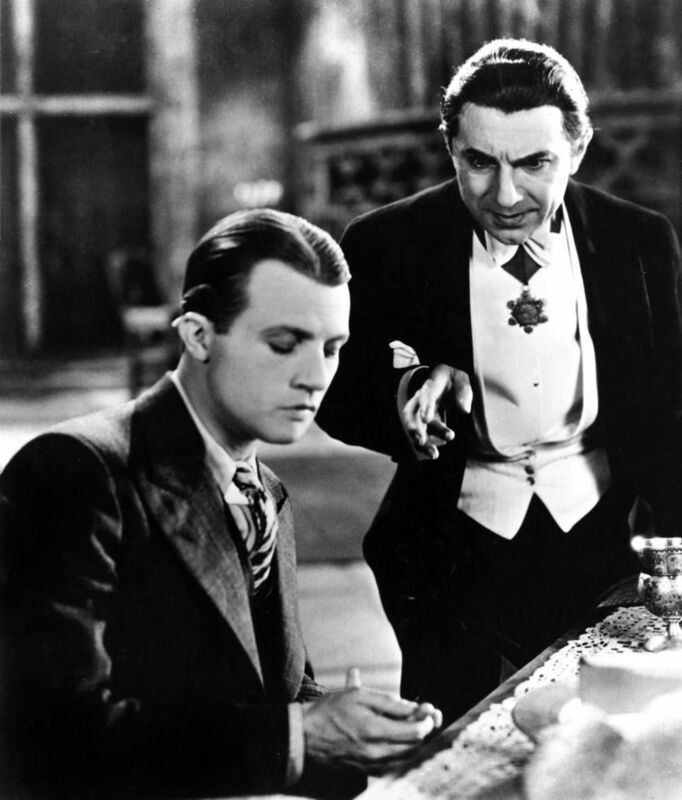 Relative to the 1931 film adaptation which you reference, it must be remembered that Dracula’s Jewishness was underscored by the “star of David” hung prominently about the vampire’s neck. Furthermore, virtually every book, documentary, and academic study on the subject of the Universal Monster films includes interpretation (by the makers) of Dracula, the Wolfman, and Frankenstein as intentional analogies for the Jews. Jews always identified with the monsters. The monsters were, from the Jewish vantage, always the victims, and the torch and pitchfork-bearing European/Christian society which they preyed upon always signified the victimizers. You are not Van Helsing, Gary. You’re Renfield.